Our thoughts go out to Ray Randle who has been unwell but hopefully on the way to recovery, also to other members that have been sick at home or in hospital, we have been given regular updates by members on how you are doing. We hope to see you back playing golf, or just generally well enough to have an ale or two. First Saturday for Interclub tomorrow – Good Luck to all our teams. The Green-Keepers would like to know if any members have a vice they no longer use – the green-keepers vice has just broken and beyond repair. The Programme book is just about completed and ready to go to the printers – Andrew Black has done a wonderful job again this year!!! You are AWESOME!!! Congratulations to Dominic Hazeldine (junior) who got a hole in 1 on Tuesday on #11 – Tremendous!!! 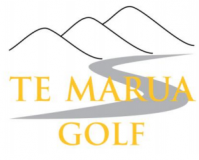 I would like members to think about playing for our Te Marua Mashies Team for 2019, Please contact Greg Judd on 0272402946. Members are not eligble if on a handicap below 14.9. You only play once a month at golf clubs within the Wellington Region. This Sunday we have Opening Day – James Maher Trays, this is a Better Ball Stableford event, for 2 person teams, mixed or non-mixed using the better STABLEFORD SCORE FOR EACH HOLE. When you print your card this Sunday add your player by entering their MEMBERS NUMBER. Any players left that have not been entered Gail will just pair you off in the system randomly. No CARTS on Sunday and Monday – they are all been allocated already. MW Men play Tuesday and Thursday. MW Women have Open Day on Wednesday 30th January at 9.30am Frances Cole Trophy, Net Medal. Evergreens play at Ohariu on Thursday 31st Januaruy. Teams Twilight starts on Thursday 31st January.